Left to right: Brett Roberts (KCP), David Kimmett (KCP), Mike Owens (WTA), Gary Brown (KCP), Rob Stait (KCP), Jack Simonson (KCP), Melissa Perozzo (KCP). Photo by Joe Hofbeck. Mike (a 13 year crew leader for WTA) has played a key role in helping complete some amazing trails within the King County Parks system. You might know him from his roles in: Cougar Mountain Regional Wildland Park, Grand Ridge, Duthie Hill, Taylor Mountain – and as the guy in this photo. The man, and his amazing association, have been prolific in our backcountry trails, and we are eternally grateful. Mike’s tremendous positive impact on King County Parks is why yesterday we went along on one last Hike with Mike. To pay tribute to the man, the myth, the legend. Thanks again, Mike. 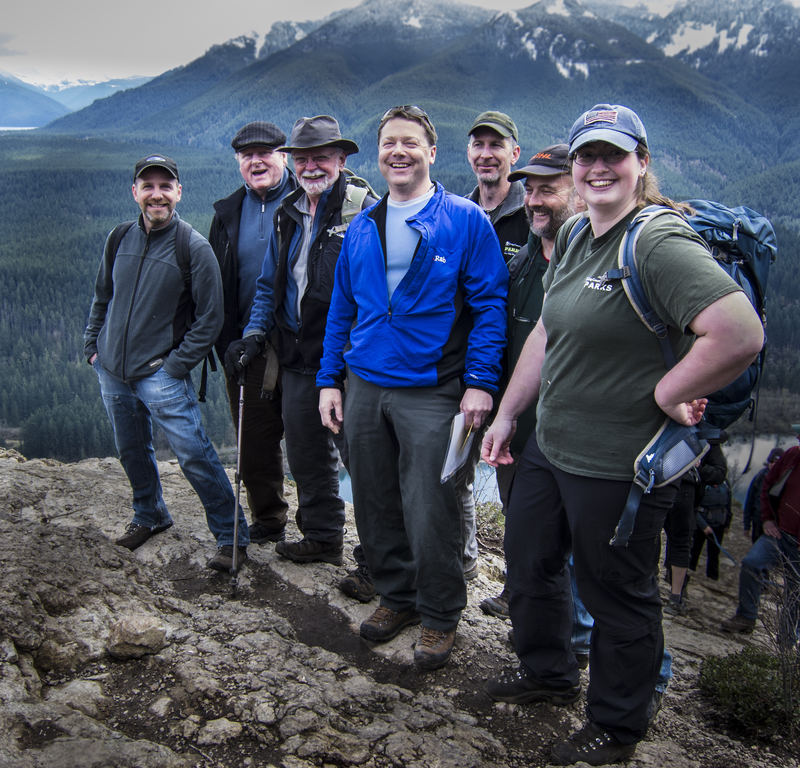 It is people like you and your like-minded Washington Trails Association brethren who help keep our parks awesome. P.S. We hear Mr. Owens has an interest in keeping busy, so don’t be surprised if you see a guy who looks strikingly similar to the one pictured above, in a shiny King County Parks Ambassador vest, out in Soaring Eagle Park. 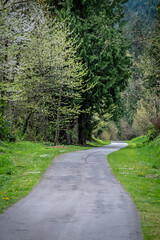 Previous Post Now introducing….The King County Parks Foundation!